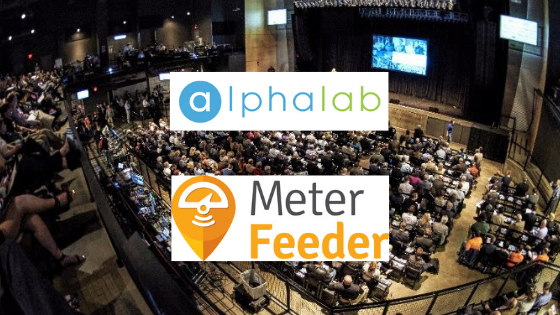 MeterFeeder to Welcome New Innovators at AlphaLab’s Annual Demo Day. Pittsburgh (PA) - MeterFeeder - a product of startup accelerators like Y Combinator- will be attending the annual “Demo Day” event at Stage AE next week to usher in the next generation of company launches. The event takes place at Stage AE on October 16th, and will feature company launches from Innovation Works’ nationally ranked hardware and software accelerators, AlphaLab Gear and AlphaLab. According to Innovation Works, press can expect to see new companies innovating in sectors such as Internet of Things (IoT), Voice based tech, AI, Advanced Materials, Software as a service (Saas), and Robotics. As part of the event, MeterFeeder will be meeting with the press to talk about their newest parking innovation, Pay-By-Vehicle. This new patent-pending technology allows vehicles to pay for parking by themselves, resulting in 100% compliance and far fewer tickets! The technology has already garnered a lot of attention, and MeterFeeder hopes to use it to promote Innovation Works and the support they provide. .
Register for Demo Day here.